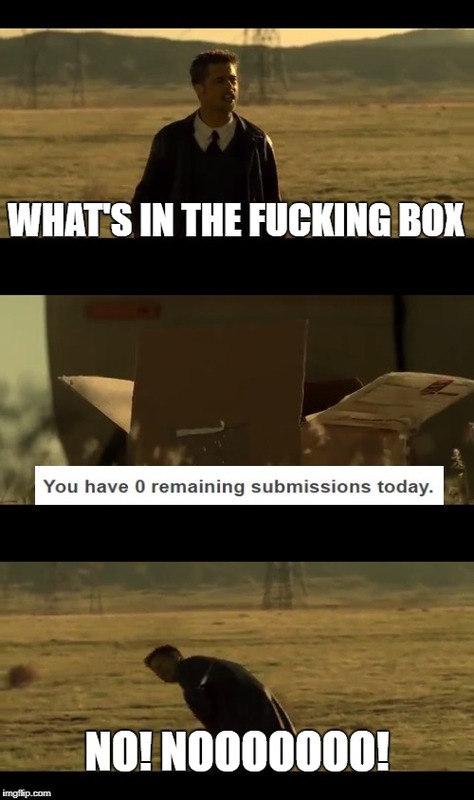 In case you guys are wondering, the pictures from this meme are from the movie se7en at its end scene. WHAT'S IN THE F**KING BOX; NO! NOOOOOOO!